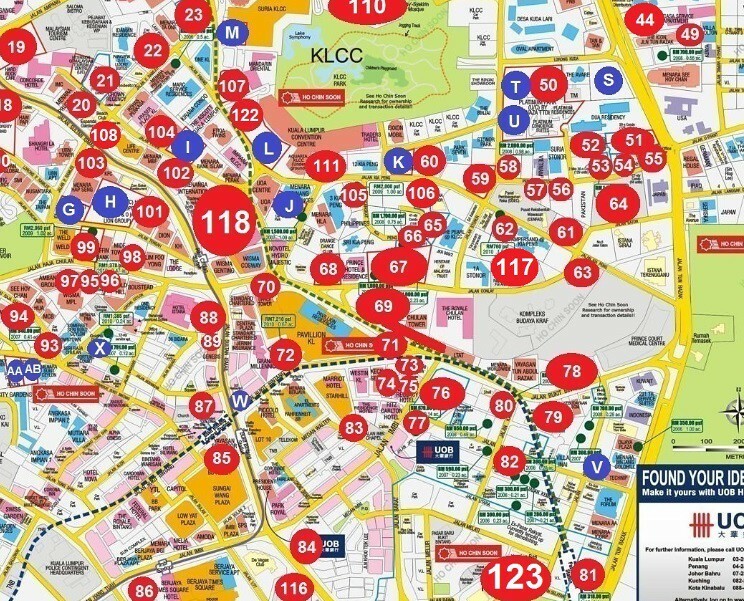 PTLM Research has identified more than 120 sites around downtown Kuala Lumpur that are (1) currently under-construction; (2) being proposed for development; and (3) being planned for future development. 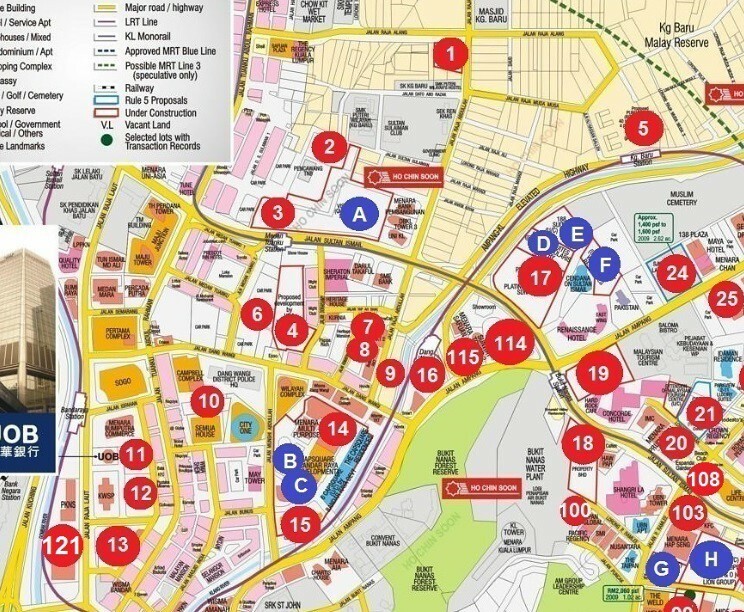 For your convenience, we have listed the details of these developments based on the numbers we plotted on the map. Hotel Operator: Best Western International, Inc.
Menara Tun Razak will be redeveloped into an iconic commercial development. 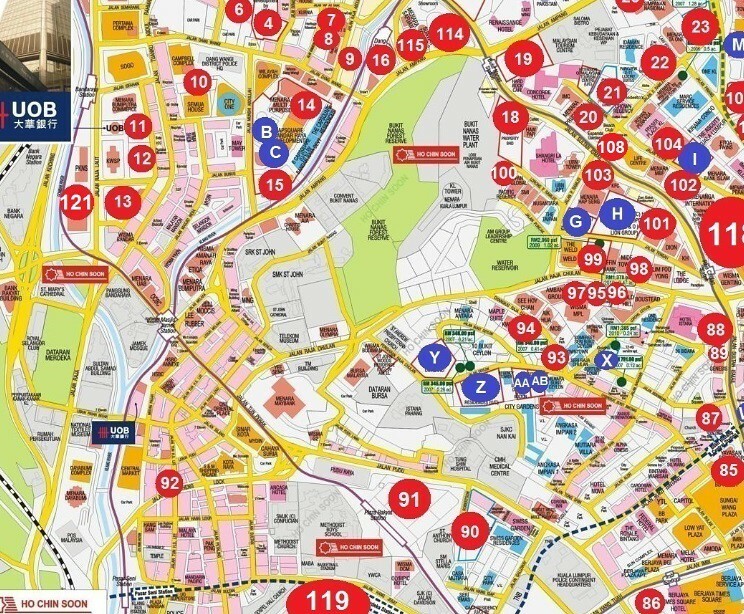 It is situated on Jalan Raja Laut, just across the road from the headquarters of Kuala Lumpur City Hall. 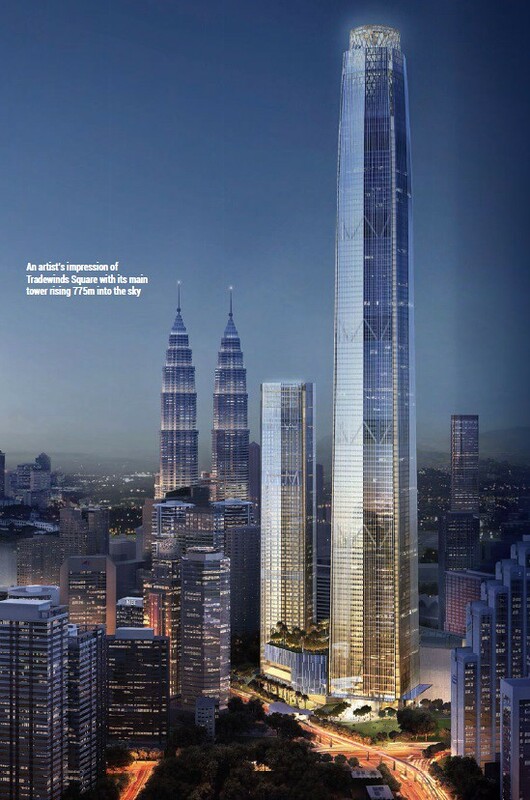 An integrated high-end commercial development by TA Global, this project consists of two 50-storey hotel and service residence towers located directly opposite the world-renowned Petronas Twin Towers and Suria KLCC. Hotel Operator: Starwood Hotels & Resorts Worldwide, Inc.
A Park. Apart. 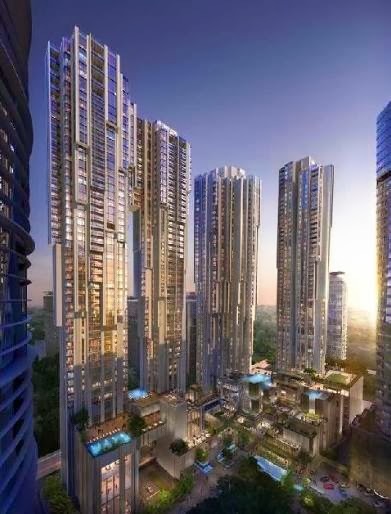 Platinum Residences At Platinum Park Kuala Lumpur, stunningly designed by Lord Norman Foster's acclaimed architectural practice Foster + Partners are influenced by the majesty of Malaysia's tropical landscape. Hotel Operator: Kempinski Hotels S.A. Designed by RSP Architects, a leading Malaysian architecture firm, this one-of-a-kind development in the centre of Kuala Lumpur features a world-class Kempinski Hotel, Europe's oldest luxury hotel group, spectacular service residences and branded residences, as well as an upscale retail emporium that brings out the very essence of bespoke living. Harrods Square will be skybridge-linked to the Pavilion Kuala Lumpur shopping mall. 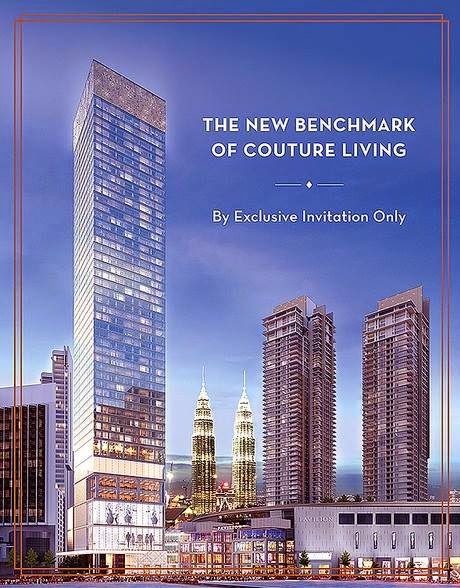 Pavilion Suites is seamlessly connected to the multi-award winning Pavilion Kuala Lumpur where high fashion meets the very best lifestyle offerings in the last prime residential real estate within Kuala Lumpur City Centre. Pavilion Suites is a prized address of Prestige, Luxury and Distinction. 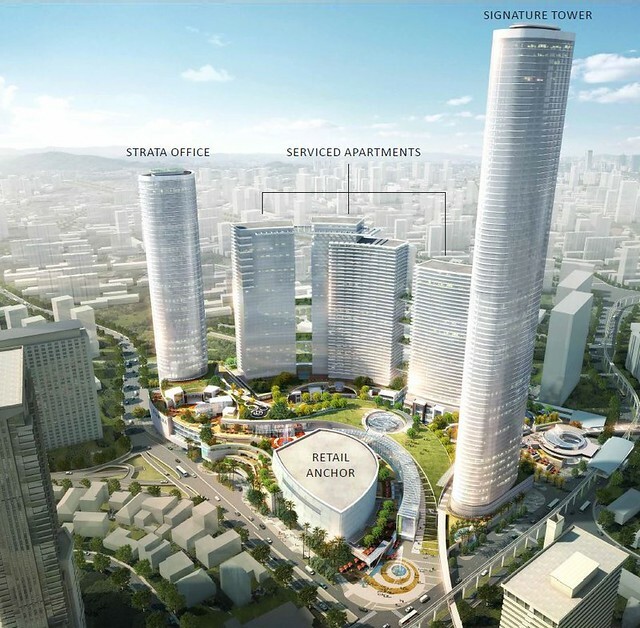 City Motors Group, through its member company Kenco Properties Sdn Bhd, in a joint venture with Mass Rapid Transit Corp Sdn Bhd, is seeking approval to build a 46-storey, four-star business hotel and suites near the Pavilion Kuala Lumpur. 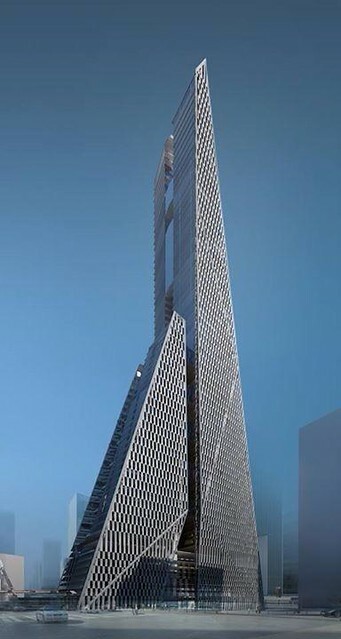 Hotel Operator: Fairmont Raffles Hotels International, Inc.
Tradewinds Square rises 775 metres high and will become Malaysia's tallest building superseding the 452 metres Petronas Twin Towers. - Pic by The Edge. Extracted from Winds of Change article, published on DigitalEdge Weekly 24 August 2015. Kuala Lumpur's Mayor Datuk Mohd Amin Nordin Abd Aziz recently told StarMetro that City Hall would go ahead with plans to demolish its existing Menara DBKL 2 in Jalan Raja Laut and rebuild it as City Hall's new modern headquarters. 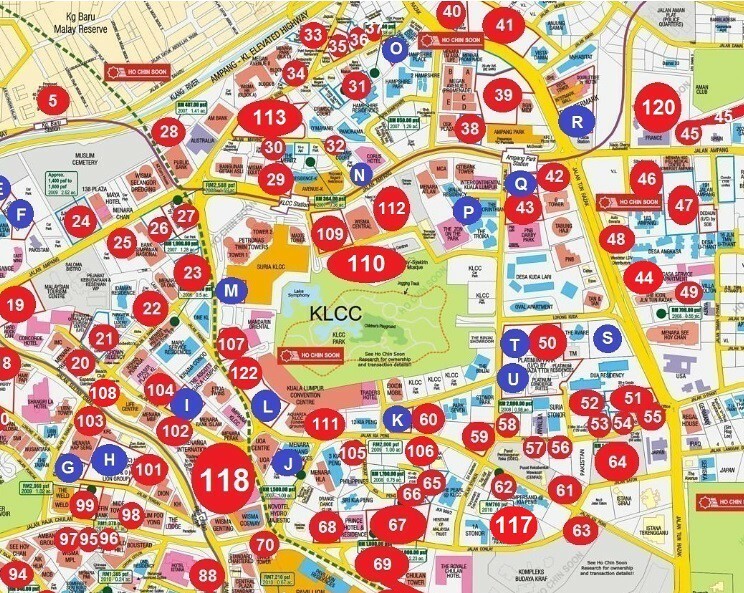 Overall Development: 70 acres of masterplanned financial and business district for Kuala Lumpur. A total of 25 buildings will be built offering a gross floor area of over 21 million square foot. Eco World Development Group Bhd is expected to start construction of the RM8.7 billion Bukit Bintang City Centre (BBCC) project at the former Pudu Jail site by the first quarter of 2016. Watch out for our upcoming publication.